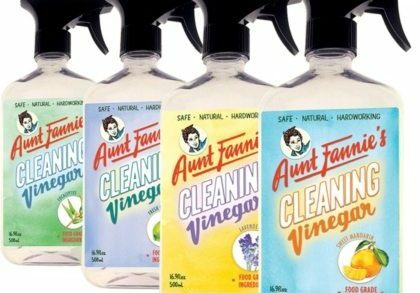 Aunt Fannie’s, a Portland, Oregon-based developer of cleaning prioducts, closed a $5M financing round. The round was led by existing investors including Monica Nassif, founder of Mrs. Meyer’s and Caldrea, Stuart Erickson, Senior Managing Partner at Guggenheim Securities, and Kay Hong, CEO at Proenza Schouler, bringing the total funding raised to date to $10.5m. Aunt Fannie’s also recently appointed Ms. Hong, a longtime investor, to the Board of Directors. 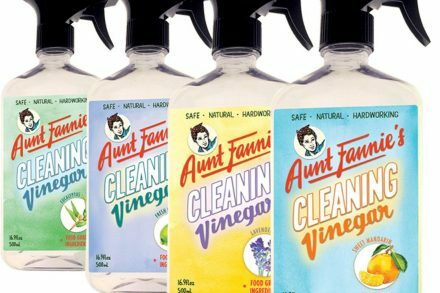 Led by Mat Franken, Founder & CEO, Aunt Fannie’s offers microbiomic household products and essential oil pest products that can be found in more than 4000 retailers nationwide, including Target, Bed Bath & Beyond, H-E-B Grocery Stores, True Value Hardware, and more throughout the United States and Canada. The capital will be used to accelerate the growth of the company’s home cleaning, pest, and personal care lineup which currently is comprised of 22 SKUs, to launch innovations in personal care and cleaning at Natural Products Expo West in early March. Ten new SKUs will be added to the line up and will be available at select retailers nationwide.